Needless to say I’m ecstatic. Uday’s an awesome person and knows just how to perfectly give words to each one of his thoughts. He writes about everything under the sun on his blog, Udayology. Not to mention his exceptional photography which is really worth beholding at! I’m not entirely sure, but I guess HumaAq had also nominated me for this award a good amount of days ago when I was clueless about this entire blogging thing. Anyway, you should definitely check her interesting musings over at her blog. 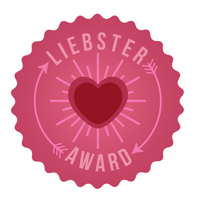 Apparently, this is how the Liebster award works! Nominate 10 blogs and tell them that they’ve been nominated. I love writing, but never did it often enough. There would be those once in a year diary entries, stuff that I would write at the back of notebooks and lose within the blink of an eye & the numerous ideas that I would want to write about. All that I never did. I started to blog to keep track of all that and more. More importantly I wanted to push myself to write better and better! People who live for themselves and love themselves. Who are strong willed, foster good relationships, are strong hearted and learn to tackle all the troubles life has to offer, because nobody is a genius when it comes to living life. The right minded ones become geniuses. I would be in my twenties in 10 years time. 26, to be precise. Even thinking about it gets me excited. All of the independence, travelling, living on my terms, hopefully bagging my dream job (becoming an animator) along with an all rounded social life with a dash of happiness. No, scratch that. If I have all that, just a dash wouldn’t add up. I would have dozens of happiness! Heir of Fire, by Sarah J Maas. It is the third instalment in the Throne of Glass series, which only gets better. The story is set in an ancient time in the kingdom of Erelia, which is ruled by an oppressive, mean, schematic and incredibly unjust king. The protagonist is an assassin who fights for justice. The series has got a lot to offer with hidden, but powerful magic, light and enjoyable romances, a fast moving and extremely thrilling story. 5. What is your all time favorite movie? Any animated movie simply makes my day/life. Can’t possibly name a favourite! 6. If you could choose anywhere in the world, where would you choose to live, and why? I have always wondered how it would be to live in a caravan. Or an RV. That way, I would have a uber-cool home which could be anywhere I want it to be. Dora taught me a bit of Spanish. Uno, dos, tres, quatro, cinco, cocodrilo. Okay, no I don’t. I can draw a very cute snowman on MS Paint. It genuinely looks impressive, no kidding. I always wanted to work at a bookstore, if not own one. Also, being a food critique would be great, because who wouldn’t want to get paid to eat? Having my very own novel published would be living the dream. 11. Whats your favorite type of food? Arabian food is the best. I recently developed a taste for the amazing chicken shawarma they offer. Pure yummy goodness. Here are my nominees! Roll out the red carpet. Smiley like I mean it.. I would like the nominees to answer questions 1 to 6 and follow them up with these. 7. If you could rule the world just for one day, what would you change? 8. Do you believe in aliens? 9. Which one would you choose- a life without internet, or a life without TV? 10. How does blogging make you feel? 11. If you ever wrote a book, what would it be about? You can answer all 16 if you really want to too. =) Adios.